The Tokyo Gas Group has strengthened its safety management system in recognition of its fundamental mission as an energy company for whom safety represents a material issue that requires the direct involvement of top management. In August 2006, we established the Safety Committee, chaired by the Representative Director, President and CEO, to coordinate and promote safety measures. Under the Safety Committee we also set up the Safety Promotion Committee, chaired by the Chief Executive of the Pipeline Network Division, as well as several permanent subcommittees, to ensure we are fully capable of promptly responding to various safety issues. 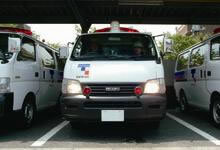 Tokyo Gas maintains a 24-hour, 365-day emergency response system to prepare for gas leaks and other contingencies. To ensure customer safety, we operate a thorough security system in preparation for any incident. 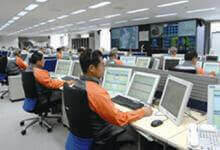 Any report of a gas leak to a Tokyo Gas facility such as the Customer Center is transferred to the Security Command Center. This center closely follows up on the situation and provides safety advice to the informant. Gaslight 24 personnel, instructed by the center, immediately rush to the emergency response site from their respective base. We also have established police and fire department hotlines to facilitate cooperation. 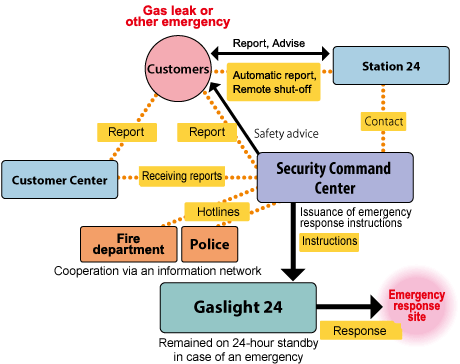 Gaslight 24 teams are 24-hour emergency dispatch bases capable of responding immediately to a gas leak or other emergency. Personnel specialized in emergency safety response are stationed in the service area. They are on call around the clock and respond swiftly in accordance with instructions from the Security Command Center. Under the Gas Business Act, we periodically inspect gas equipment at all customer sites at intervals mandated by law. As a general gas pipeline operator, we check for gas leaks on customer premises. As a gas retailer, we visit customers to inspect gas appliances as well as air supply and exhaust systems. Also, as necessary, we recommend the installation of gas and carbon monoxide alarms and provide contact information for occasions when an industrial ventilation alarm goes off. To assure customers that they can safely use gas, we continue to maintain and improve the quality of our work through continued education for inspectors and other measures. While we certainly care about the comfort and convenience of using gas appliances, we also offer customers greater value through safety, security, and reliability. As part of this effort, we have continuously held emergency safety techniques and skills exhibitions for enhancing the quality of our emergency safety operations and passing on skills to the next generation of employees. At these exhibitions, installation teams representing Tokyo Gas and subcontractors demonstrate their techniques and skills for daily operations in order to inspire each other and further hone their skills. In fiscal 2017, 308 people were attended, including those from other gas service companies and new entrants in the gas retail business, with whom we need to cooperate in emergency safety operations. At the event site, many techniques and skills were vividly demonstrated. For example, participants competed in gas pipe repairs, during which new repair methods were explained, and role-played an initial response to a gas leak. The participants enthusiastically exchanged information, commenting on how the event increased their awareness of safety, security, and reliability. Through these efforts, we endeavor to raise awareness and ensure safety, security and reliability for customers.